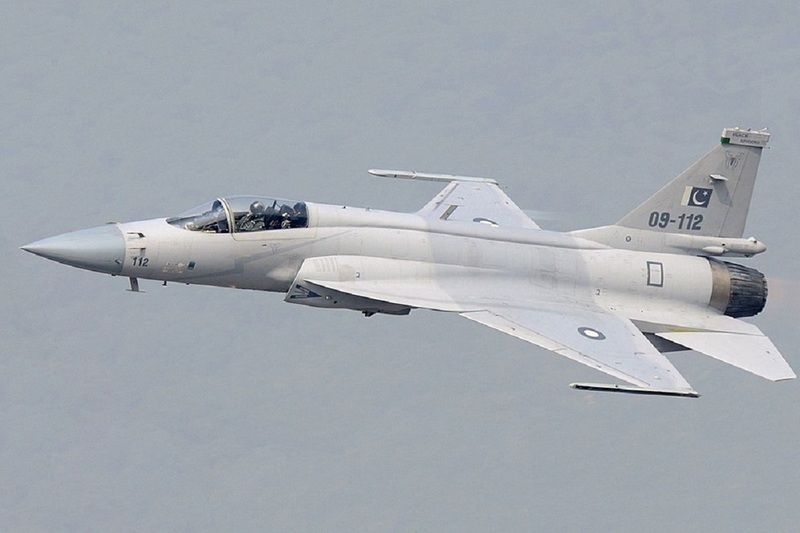 Pakistan has for the first time claimed that it had used JF-17 Thunder combat aircraft jointly developed with China during the dogfight with Indian warplanes on 27 February, again denying India’s allegation that it had pressed into service the US-made F-16 in the aerial engagement. His comments are significant since India has claimed that F-16s were used by Pakistan during the aerial engagement with the Indian Air Force (IAF). India’s contention is that Pakistan had used AMRAAM missile during the dogfight which could only be loaded on an F-16 aircraft. New Delhi has also taken up the matter with Washington, pointing out that the defence systems exported by the US for offensive action against terrorists had been misused against India. He ruled out the possibility of Pakistan using its nuclear weapons saying the country saw them as more of deterrence tool to prevent actual war. ”Since we have gone overtly nuclear, as India also, in 1998, our stance is that this capability eliminates the possibility of conventional war between the two states. So that is to say, this is a weapon of deterrence and a political choice. No sane country having this capability would talk about using it,” he said. He also stated that Pakistan was willing to takes steps towards non-proliferation of nuclear arms — but only if India did the same. ”Pakistan will undertake anything which is based on equality. You cannot tie the hands of Pakistan and keep India open. Anything that happens should happen for both countries,” he said. According to Gen Ghafoor, the Indian jets violated the Pakistani airspace on 26 February, dropping payloads without inflicting any casualties or damage to infrastructure. Pakistan then decided to retaliate but chose not to threaten civilian lives, he added. He said Pakistan was negotiating defence industry cooperation with Russia in the areas of aviation, air defence systems and anti-tank missiles.